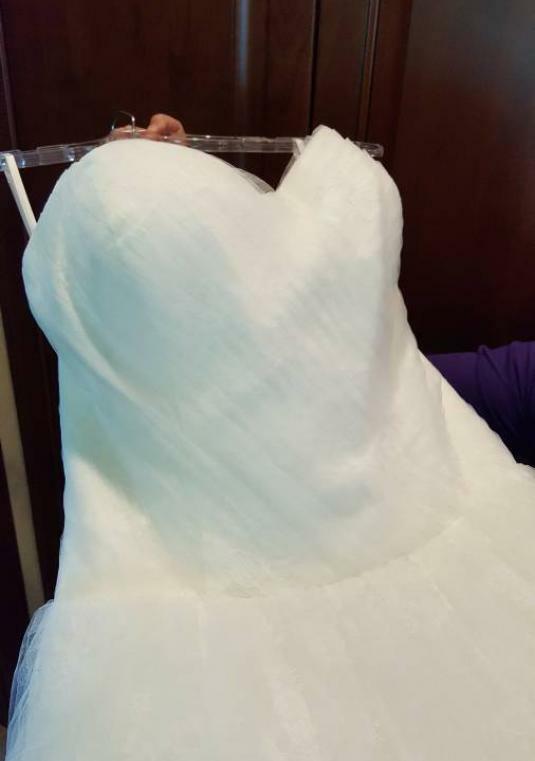 Stacey's Bridal - Brand New Wedding Gown!!! 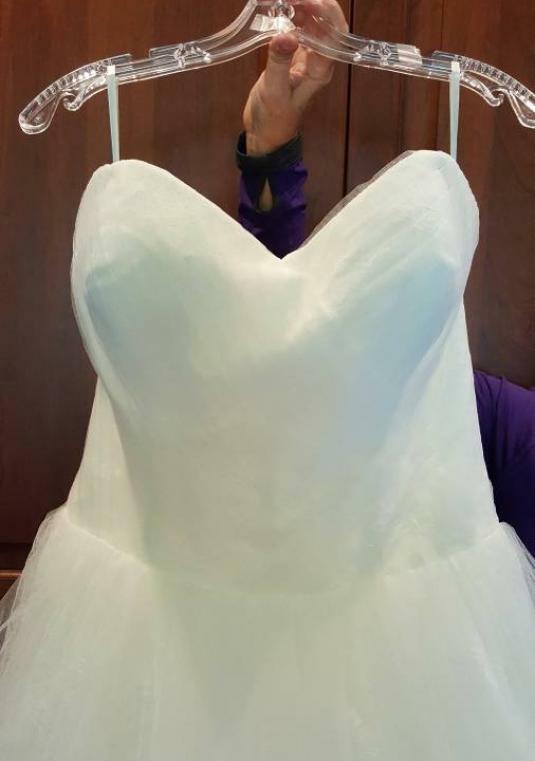 Title: Stacey&#39;s Bridal - Brand New Wedding Gown!!! 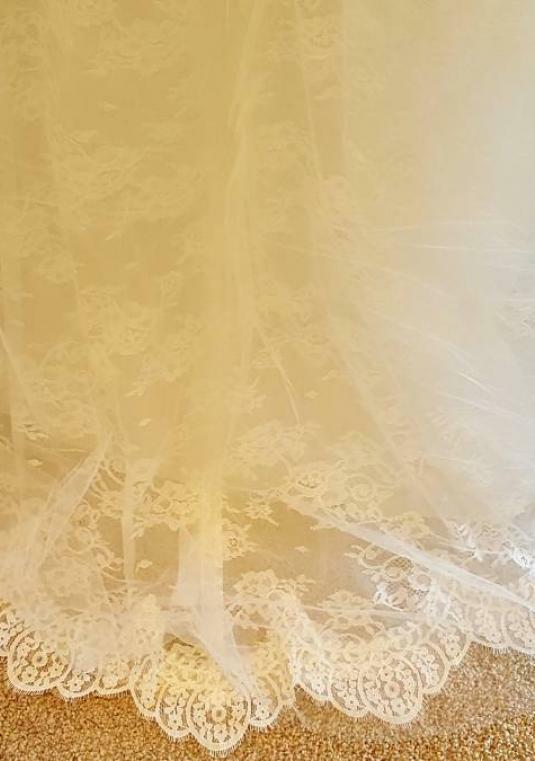 Never worn and un-altered, this beautiful A-line style features a delicate lace detail with tulle overlay. It&#39;s a size 16 with a corset back and zipper hidden in the skirt. 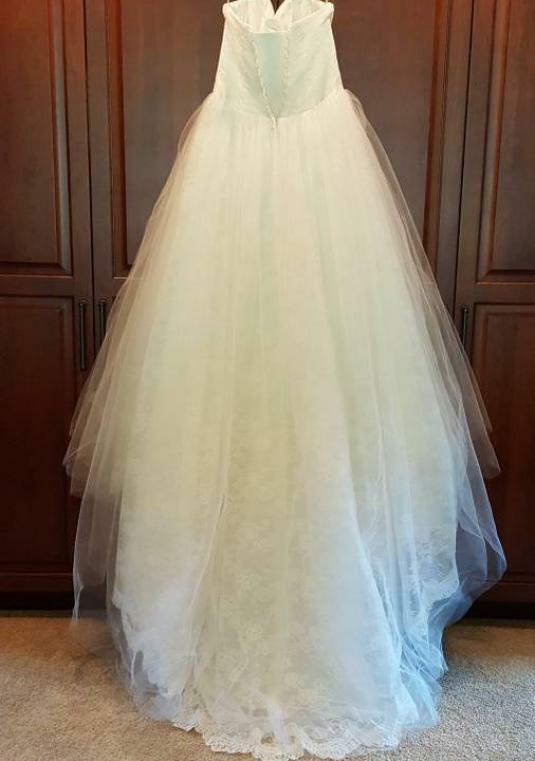 A one of a kind design from Stacey&#39;s Bridal! Preservation Method: Currently hanging in Stacey&#39;s Dress Bag. Will Ship To: Shipping to US mainland only. Terms of Sale: Sale is final. 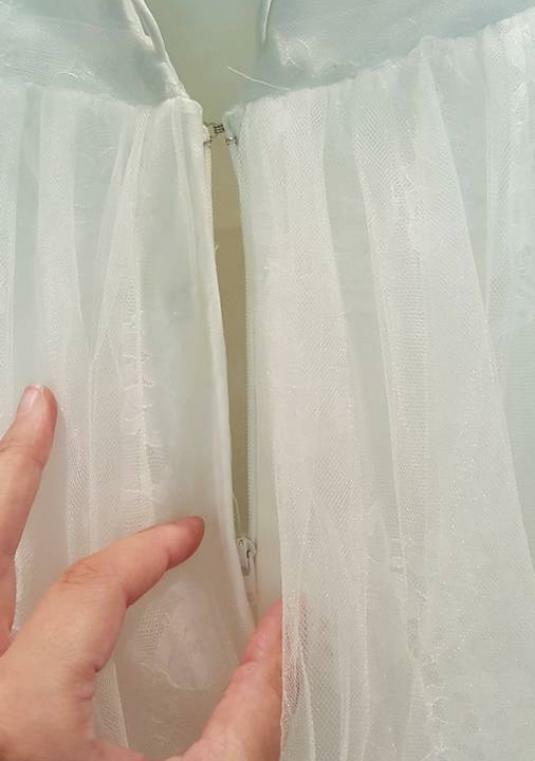 Would prefer to sell locally so buyer can see the dress prior to purchase. Accepted Payment Methods: Paypal or Cash Only. No personal or cashiers checks please. 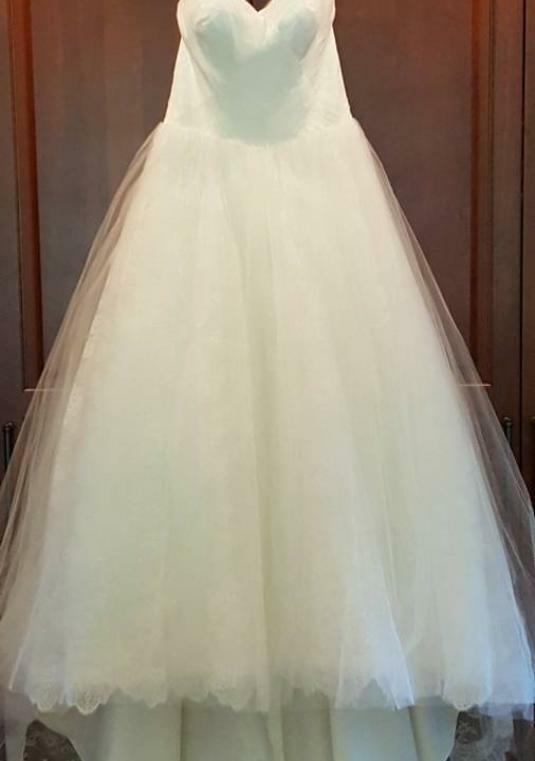 Favorite memory in dress: This dress was purchased as an alternate 2 weeks before my wedding, when my original dress had not yet arrived. 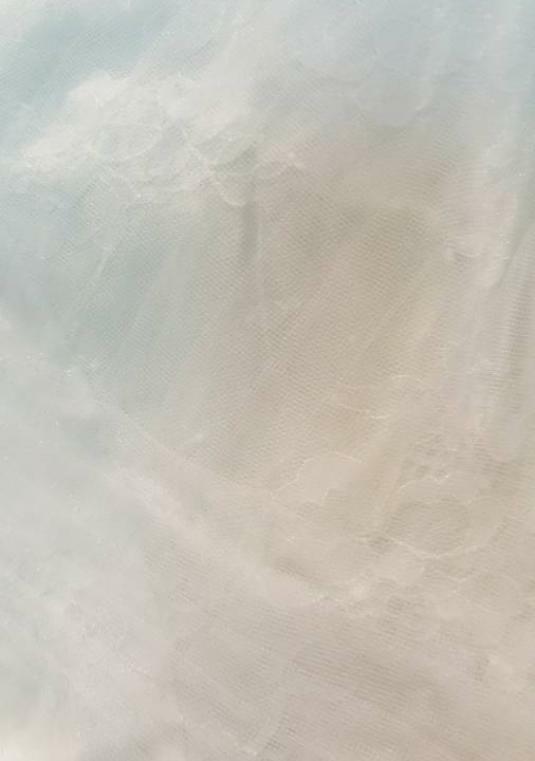 It was a tough decision, but I ended up wearing my original dress. 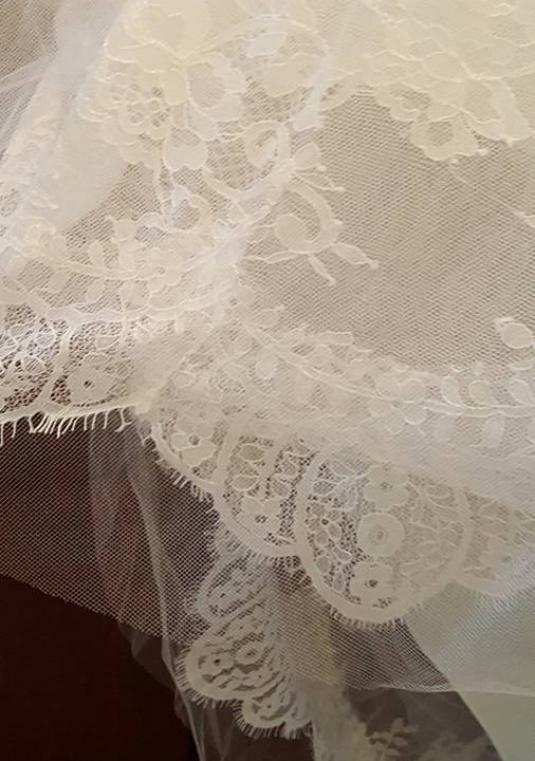 Never actually worn, it&#39;s ready and waiting for you to make your own memories!